AI and robots are capable of both decimating and improving human work. By and large, they're doing the former. That’s in part because AI researchers are mostly creating systems that leapfrog human abilities, rather than do what humans cannot. The big picture: By changing incentives that currently encourage the development of technologies that compete with people, experts hope to redirect the future of work away from widespread automation-fueled job loss. 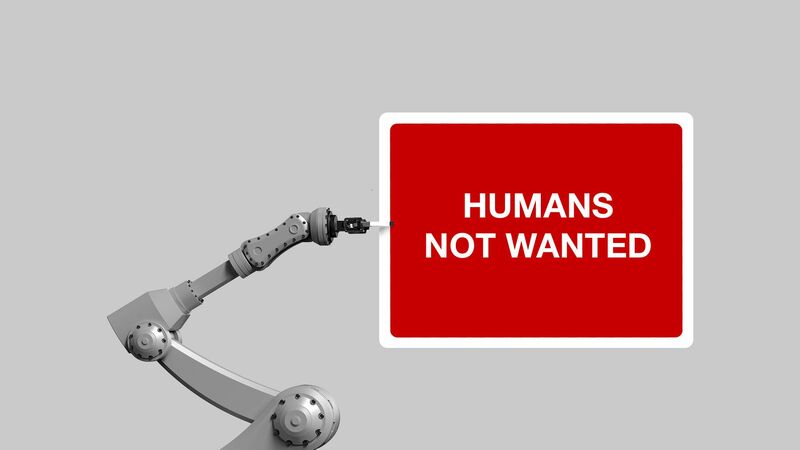 As we reported this week, economists Daron Acemoglu and Pascual Restrepo have found AI and robotics are destroying more jobs than they are creating. But "it doesn't have to be this way," the pair wrote. AI has the potential to improve work and create new jobs — but for that to happen, researchers and companies would need to shift the direction of their work, and quickly. Details: Most progress in AI and robotics is measured against humans. Every researcher wants to be able to say their invention can beat grandmasters at an age-old game, or drive more safely than the average adult. That extends to basic research, too. From machine vision to speech synthesis, the big question is: Can you do it better than a person? These tasks are easier to benchmark and they’re easier for computers to master, says Andrew Ng, a Stanford professor who founded Google's and Baidu's AI efforts. So for an expert deciding what problem to tackle next — one that, if solved, would bring them honor and glory at a top AI conference — all arrows point toward making a system that beats humans at their own game. The problem with this obsession: "If your goal is human-level capability, you're increasing the probability that you're doing substitutive work," says James Manyika, director of the McKinsey Global Institute. That is, you're replacing humans. "If you were trying to solve this as an economic problem, you'd want to develop AI algorithms or machines that are as different from humans as possible," Manyika tells Axios. That's the sort of research that would move computers from an automating, human-replacing role to enabling new, labor-intensive work — these complementary systems would require humans. Augmented reality, a fundamentally assistive technology that can boost a wearer's productivity in a way that's hard to measure. AI systems that can predict how proteins are folded, or how to route trucks better — problems that are just too complex for humans to ever figure out on their own. Robots that can see around corners, or register sounds outside our hearing range. Two weeks ago, Manyika and MIT economist Erik Brynjolfsson convened top economists and AI researchers, including Ng, at Stanford to discuss how to encourage work in complementary AI. Manyika and Brynjolfsson will publish some of the resulting ideas in a forthcoming paper. The bottom line: Both complementary and substitutive AI will end up entering, and fundamentally changing, the workplace. In many cases, substitutive technology will likely be cheaper — and much less fussy — than human workers. In the long run, replacing people can sometimes be positive, argues Frank Chen, a partner at the prominent VC firm Andreessen Horowitz. In high-stakes situations, like diagnosing diseases or sentencing criminals, an automated system that's more stable, consistent, hardy, or potentially unbiased is far superior to a wishy-washy person, he says. The big question: How these substitutive technologies will be balanced with new, labor-creating technologies.